Silver is an elegant and sophisticated accent during the holidays, and this Silver Diamond White Ribbon is the perfect way to demonstrate this in all of your crafts, trims, and accents this season. 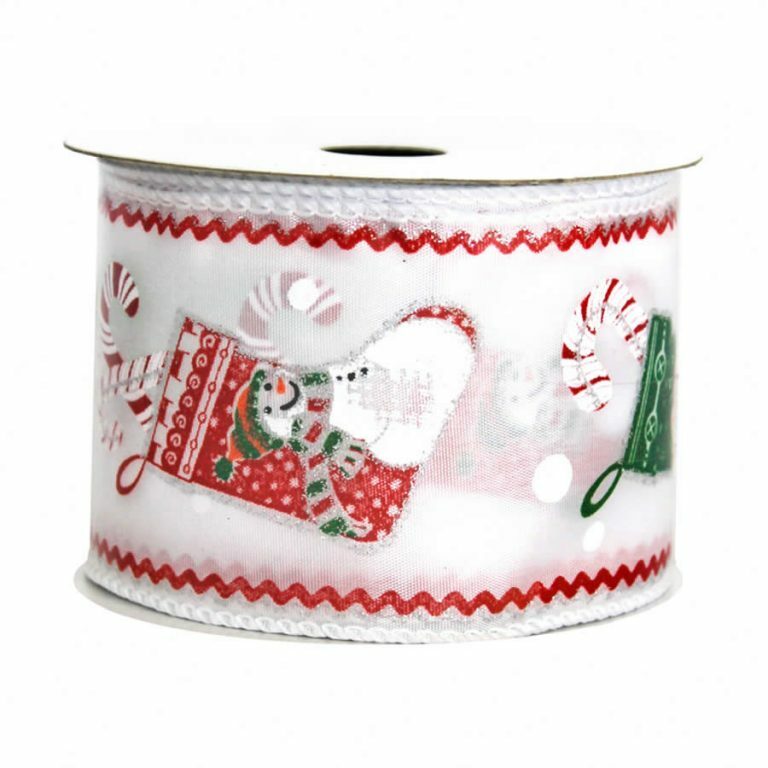 Each spool of high quality ribbon contains 9-metres of fine ribbon that can be used to create big, beautiful bows, and a variety of other holiday decor necessities. 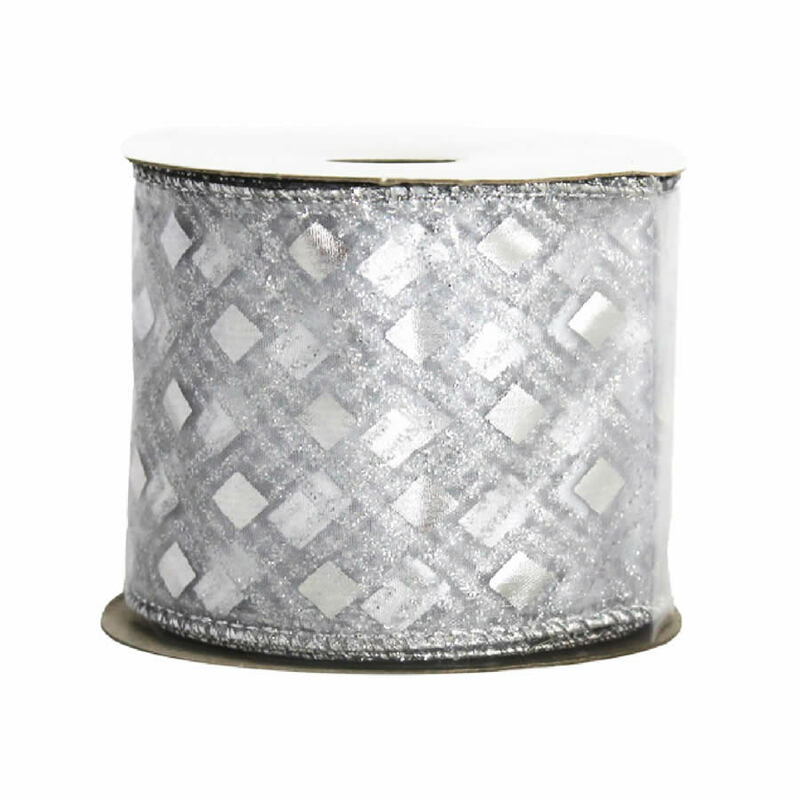 Enjoy the wide facade of this ribbon, around 7cm, and the spectacular geometric print of this sheer silver ribbon. 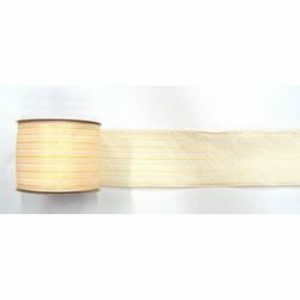 This ribbon has another hidden feature- a wire edge. 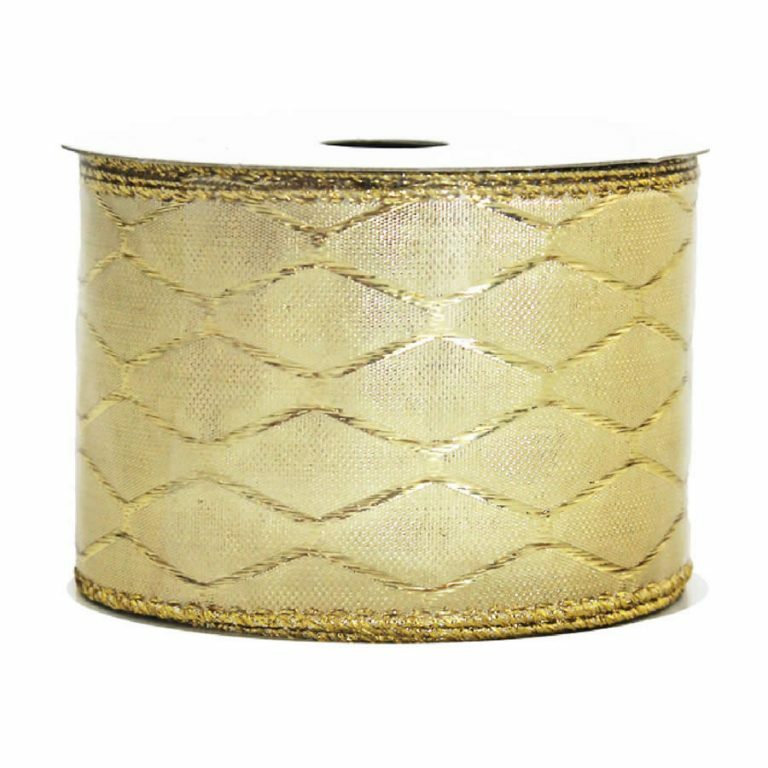 The wire edging allows you to use it and maintain the look of your accents. 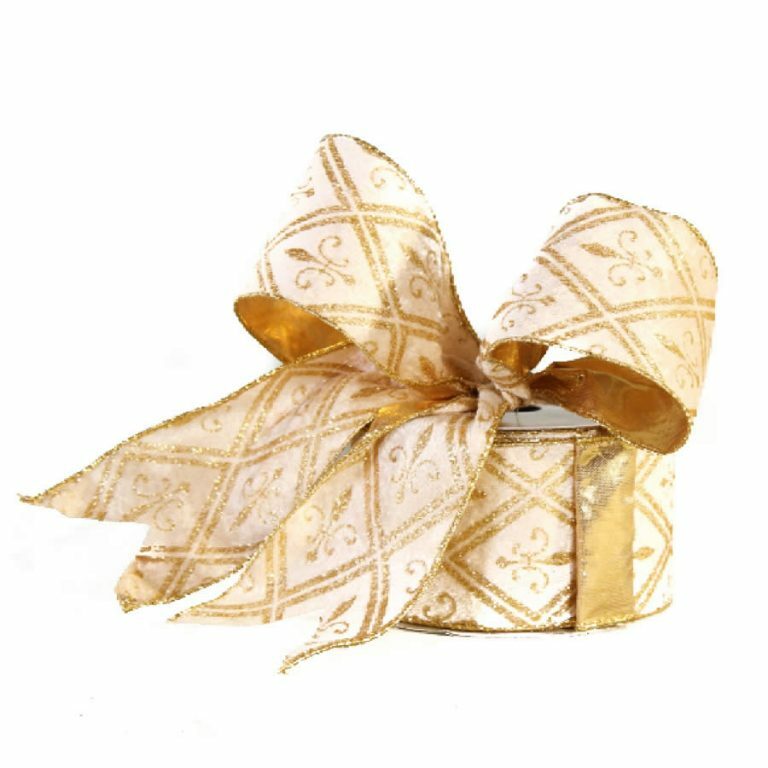 This also means that your creations will last beyond the holidays, when normal ribbon tends to wilt or sag. This is the perfect item to complete all of your holiday projects and Christmas crafts!